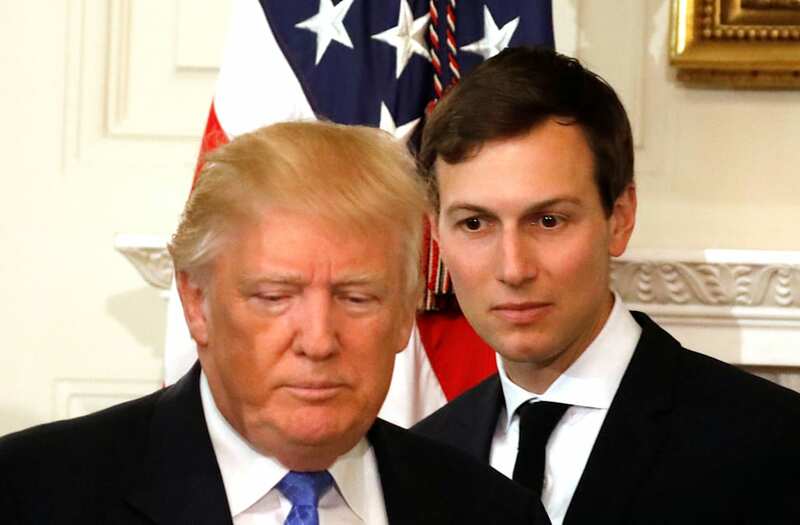 President Trump is reportedly "upset" that his senior adviser and son-in-law Jared Kushner were on vacation as he and other Republicans were losing the battle over health care. CNN quotes an unnamed inside source as saying, "[Trump] is upset that his son-in-law and senior adviser was not around during this crucial week." Instead, Kushner and his wife, first daughter Ivanka Trump, were photographed on a skiing vacation in Aspen, Colorado, with family. Vanity Fair points out that "The Aspen trip's timing may have some questioning how loyal or serious the daughter and son-in-law are about their roles within the White House. But their absence also allows them some distance, and immunity, from the mess that has unfolded in Washington." The publication says, the pair also went on vacation in August of last year during a particularly low time in Donald Trump's campaign. Nevertheless, the piece argues that, unlike other advisers, Ivanka and Jared are family and extremely loyal to the president so their standing with him is secure. CNN noted, "A White House spokesperson flatly denied the President is frustrated with Kushner." Trump did blame one group for the failed health care bill. During a press briefing Friday afternoon, he slammed Democrats for their lack of support.